Only one team can remain undefeated as two of Round One’s prevailing teams face off in what will be Aspley’s first home game in the QAFLW. The Hornets stunned the competition in the opening weekend by trouncing Coorparoo at home and in doing so, handed the Kings their worst loss in three years. Given Aspley’s relentless pressure in the game, scoring opportunities came thick and fast but that may not be the case again this week against Yeronga. The Devils too claimed the four points in Round 1, but their victory came via a resilience and calmness under pressure. With scores level last in the final term, the Devils – through Demi Leach – kicked the go ahead goal to seal the victory. In just their one game the Hornets have already established themselves as one of the most physical sides in the competitions; something Aspley coach Jacob Simmons-Bliss is a happy tag to accept. “We felt that our pressure and physical engagement with the contest from the outset allowed us to break down our opposition’s team defence over an extended period of time,” Simmons-Bliss told aflq.com.au about his team’s success over the Kings. Against the Devils though, Aspley will be without experience half-forward/midfielder Courtney Daniec, while names such as Juliana Gorizia and Kristal Williamson have been included in the team. For Yeronga, Camilla Burnett and Charmaine Hass have been named in place of Sinead Mann and Karla Reuter. Coolangatta coach Matt Bedford insists the club aren’t going to dwell on their 2018 Semi Final loss to University of Queensland ahead of the two team’s matchup this weekend. The Bluebirds bowed out of the finals against the Red Lions in a 26-point loss as the final of the team’s half dozen losses that ended their 2018 season. But after commencing their 2019 campaign with a pride-building win over Maroochydore, Bedford was adamant the team’s only focus was on the game ahead. “I’m not going to dwell on the past. 2019 is about looking forward especially when we play two rounds and then have the Easter break. It’s really important for us to get into that break with two wins under our belt,” Bedford said. After conceding five second quarter goals to Wilston Grange last week, University of Queensland have the opportunity to stamp their authority on the QAFLW this weekend, especially against an opposition who they have enjoyed some recent success against. Still without a sizeable portion of their regular squad, the Red Lions could slump to 0-2 should they not get the jump against the resurging Bluebirds. The Red Lions will be bolstered in the defensive 50 through the inclusion of former Queensland Under 18 and Brisbane Lions Winter Series representative Jessi Henning. Henning will make her season debut for the Red Lions in place of Kiarra Williams-Browne, who was one of the team’s four goal kickers in Round 1. The Bluebirds have named an unchanged line up to face the Red Lions. Coorparoo will be bolstered by the return of two of their most capped players as they look to put last week’s loss at the hands of Apsley behind them. The Kings, who suffered their worst loss in their three seasons under Michael Hewitt against the Hornets, will usher back in midfield stalwart Sally Young who has played 70 games in the navy blue for the contest. Young will be joined by defender Emma Gibson, who is set to play her 100th club game for Coorparoo across both junior and senior level and promoted Youth Girls talent Kelsey Crosbie as they aim for their first win of the season. The addition of over 150 senior games to the Kings’ line-up appears as an immediate boost for the side against Bond University, who are too looking for their first win of the season last week. In the two side’s last meeting at Giffin Park, Coorparoo forward Jenae Govan all but locked up the QAFLW leading goal kicker award with a haul of eight against Bond University. After going goalless last week, Govan has the opportunity to make her mark on season 2019 this Saturday afternoon. Wilston Grange will unveil their premiership flag this weekend in what will be their first home game since they rose to the top of the QAFLW last year. But while the side that will line up against Maroochydore this weekend to celebrate their crowning achievement will appear vastly different than the side that won the Grand Final six months ago, it’s the noticeable changes around the club that could aid the Gorillas to a higher spot on the ladder again in 2019. This year, the Gorillas have implemented a team dinner after trainings on Wednesday nights to further encourage comradery among the team and judging by the team’s performance in Round 1 – it has already paid off. For Maroochydore, the Roos – like several other QAFLW teams – remain without a number of their top-end players following the end of the AFLW season and NAB Under 18 National Academy which is still taking place. The Roos have now lost 14 games running, but that figure almost seems a misjustice to the side who remain one of the best tackling teams in the competition. Even against Coolangatta on the weekend, Maroochydore remained in the contest and used their pressure to win the third quarter. 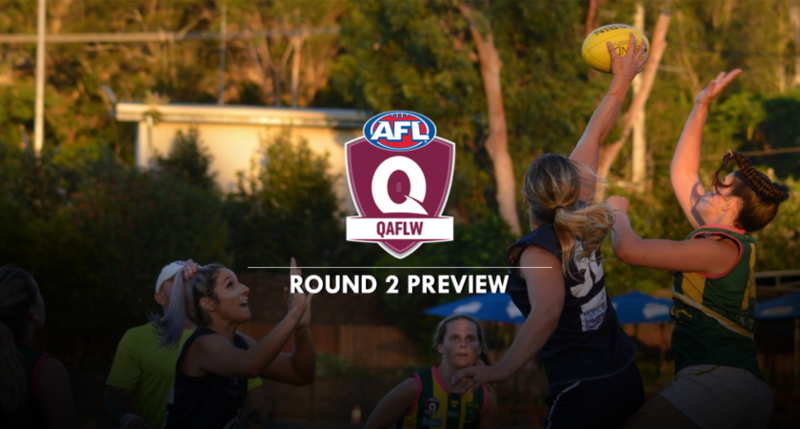 In Round 2, the Roos have brought in Georgia Doherty, Maggie Harmer and Jacquiline Dover who was named best on ground in the QAFLW Development League last week. Wilston Grange have handed debuts to Ellen Howard and Sarah Greatorex – who plays her first QAFLW game in three years after 26 games in the Gorillas’ development and QFAW Division 1 teams, while Sallyanne Reiners will also play her first game for the club after switching over from Coorparoo.